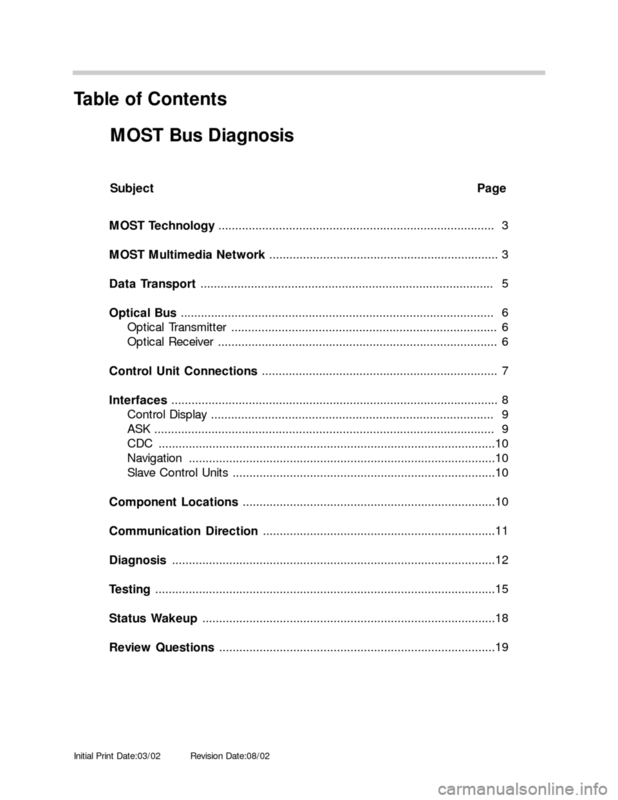 • Understand the reason for optical busses. 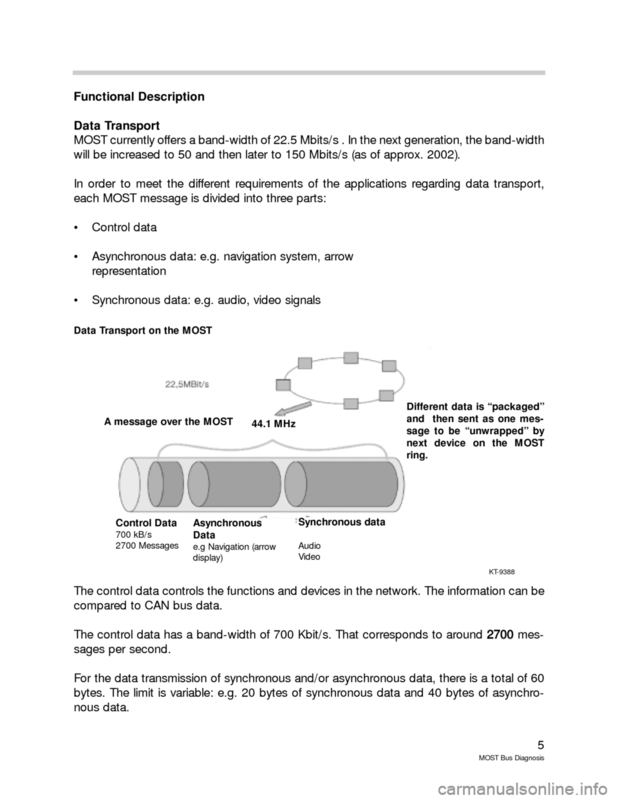  Know how optical busses transfer information.  Relate the direction and flow of information on the MOST Bus. 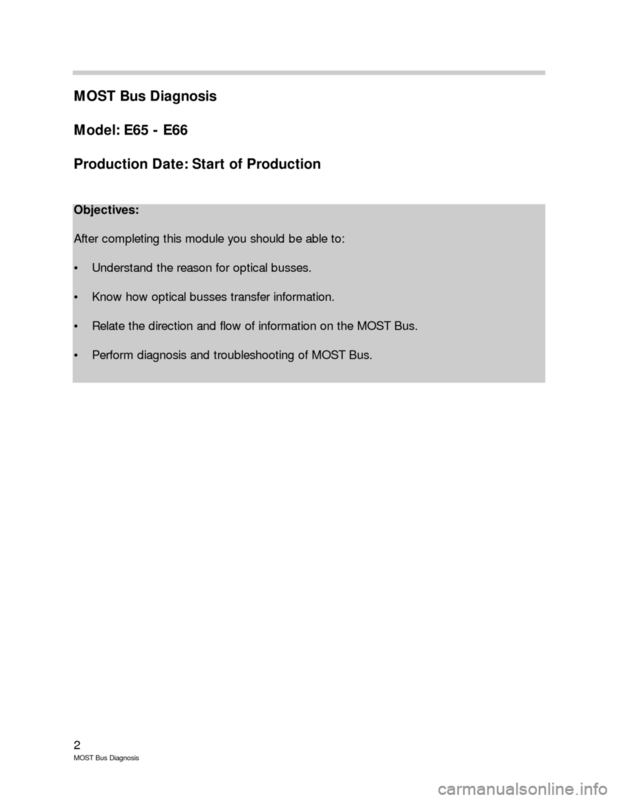  Perform diagnosis and troubleshooting of MOST Bus. 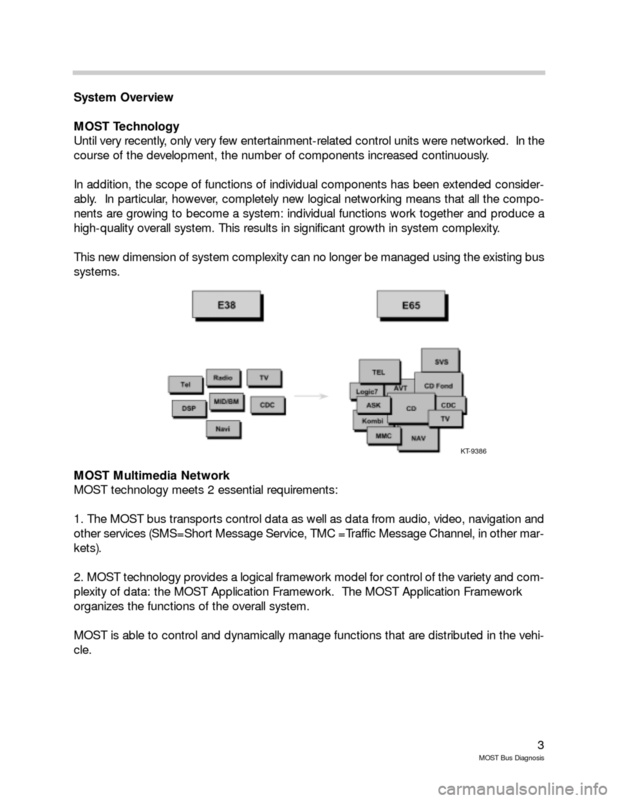 course of the development, the number of components increased continuously. high-quality overall system. This results in significant growth in system complexity. organizes the functions of the overall system. can also carry digital audio and video signals and graphics as well as other data services.  Additional signal wiring harnesses are eliminated. 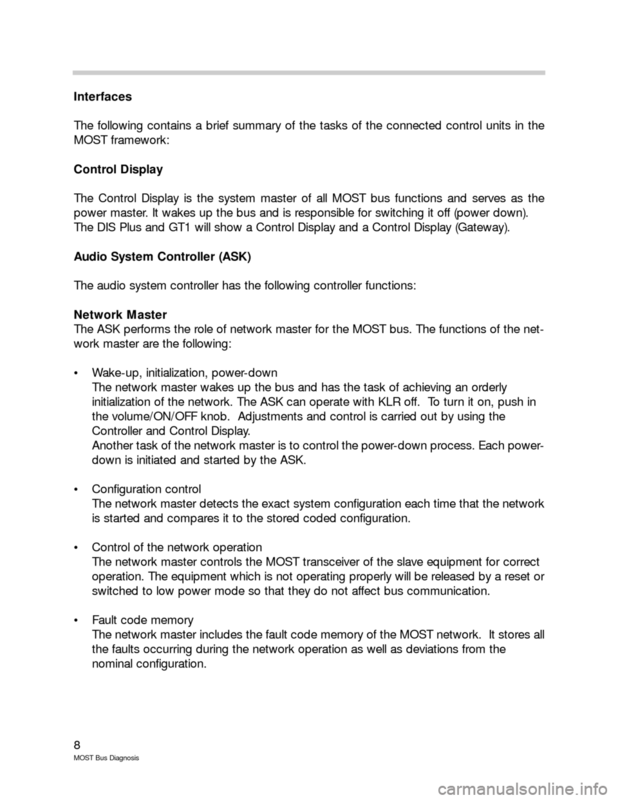  The only addition many control units need is the power supply. will be increased to 50 and then later to 150 Mbits/s (as of approx. 2002). compared to CAN bus data. properties of the transmitter and receiver enable optical wake-up by the MOST bus. 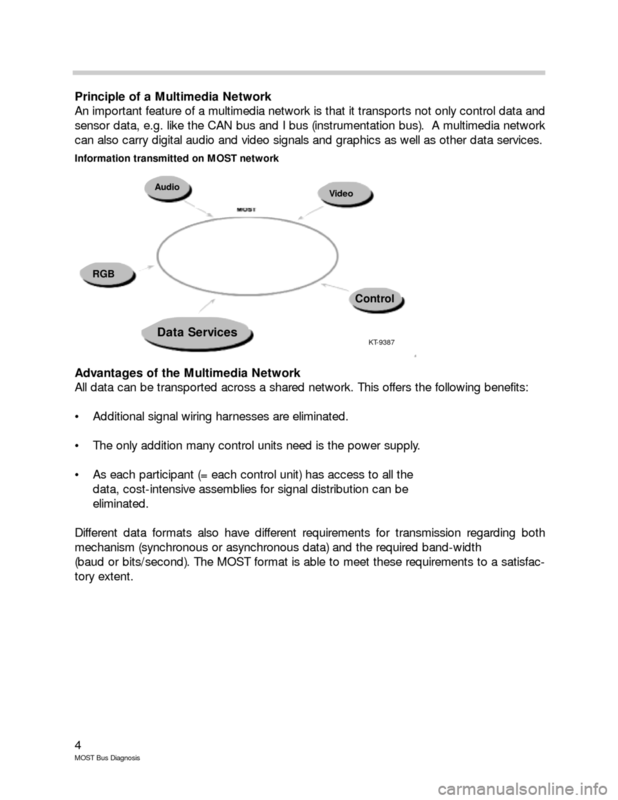 signal is amplified and further processed at the MOST network interface. The MOST ring is composed of optical point-to-point connections between 2 control units.  An opto-electrical converter (optical waveguide receiver, already mentioned). 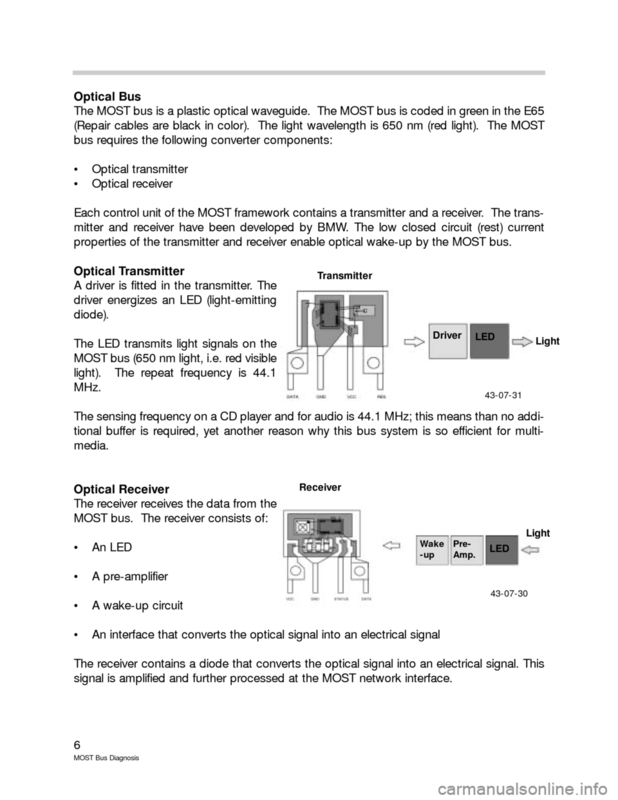  An opto-electrical converter (optical waveguide transmitter, already mentioned). 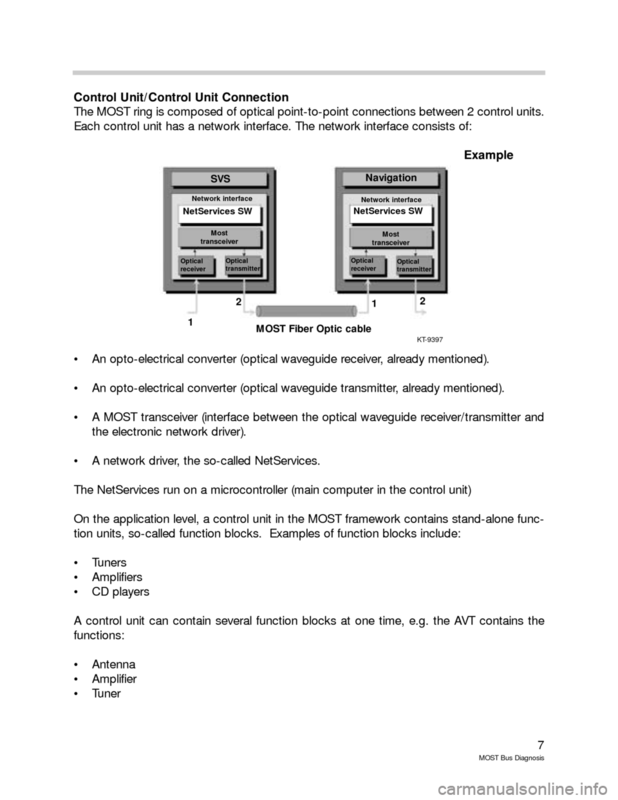  A network driver, the so-called NetServices. power master. It wakes up the bus and is responsible for switching it off (power down). The DIS Plus and GT1 will show a Control Display and a Control Display (Gateway). down is initiated and started by the ASK. is started and compares it to the stored coded configuration. switched to low power mode so that they do not affect bus communication. vehicle and to distribute them to their destinations. ity acoustic sound is obtained. The ASK also assumes the generation and preparation of different acoustic signals, e.g. 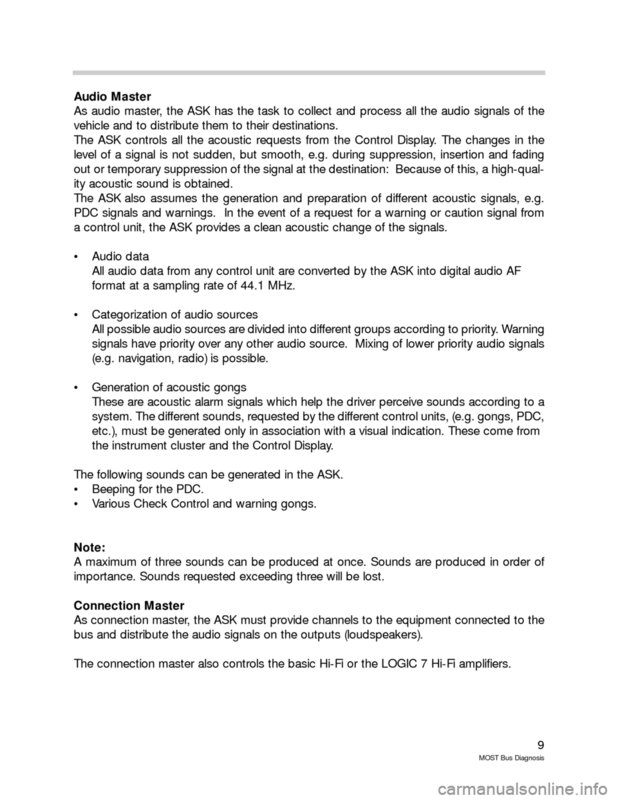 a control unit, the ASK provides a clean acoustic change of the signals. format at a sampling rate of 44.1 MHz. (e.g. navigation, radio) is possible. 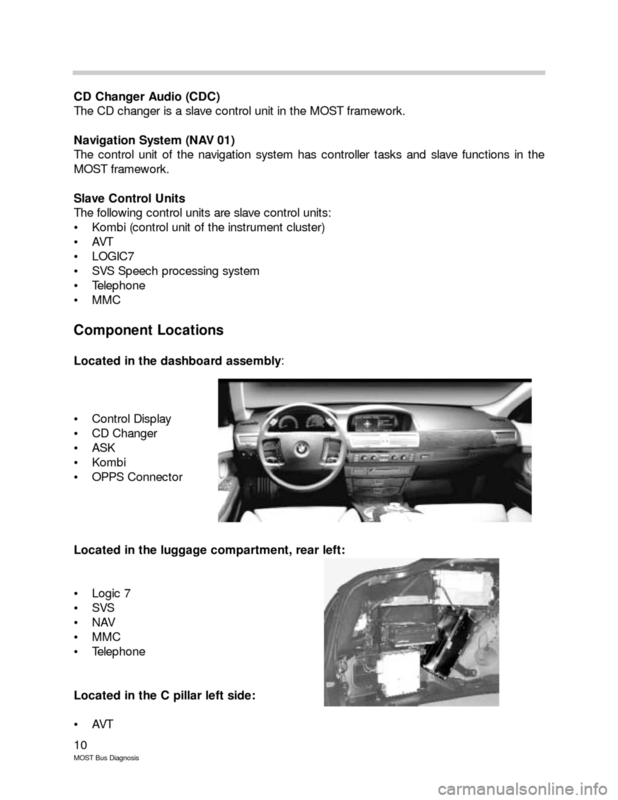 the instrument cluster and the Control Display. The following sounds can be generated in the ASK.  Beeping for the PDC.  Various Check Control and warning gongs. importance. Sounds requested exceeding three will be lost. bus and distribute the audio signals on the outputs (loudspeakers). The connection master also controls the basic Hi-Fi or the LOGIC 7 Hi-Fi amplifiers. The CD changer is a slave control unit in the MOST framework.